Affordable Fencing Company specializes in so many fencing options that we are fast becoming Chino Hills's fencing contractor of choice. We have over 30 years of experience designing, building, and installing vinyl fences, wood fences, aluminum fences, glass fences, cinder block fences, and chain link fences, all of which are customized to fully meet the privacy, decorative, and/or security needs of our Chino Hills clients. 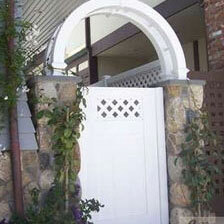 Over the years, we have also become experts in producing beautiful railings, arbors, gates, gazebos, and patio covers. By combining our expertise with excellent customer service, fast turnaround times, and competitive rates, we have earned tens of thousands of satisfied customers in Chino Hills and beyond. 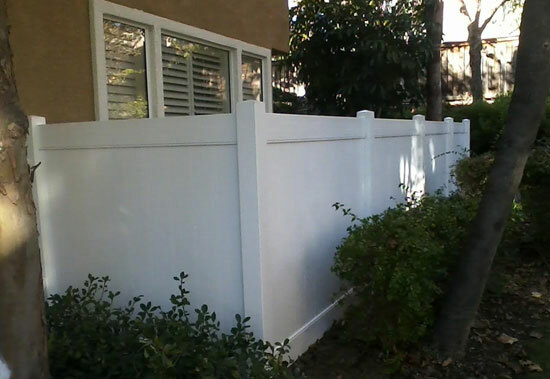 Founded in 1984, Affordable Fencing Company was one of the first fencing contractors to offer Southern California clients long-lasting, low maintenance vinyl fencing. Engineered to resist blistering, peeling, flaking, rotting, and warping, our vinyl fences and other structures are designed to last. They are also backed by an incredible 50-year transferable warranty. In addition to vinyl fences, we also offer a range of other lasting materials to help our clients get the best solution for their needs and budget. As a result, we are trusted by a diverse clientele that includes homeowners, businesses, and homeowner associations, do-it-yourselfers, and contractors in Chino Hills. 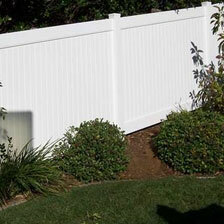 Affordable Fencing Company is a fully licensed, bonded, and insured fencing contractor serving Chino Hills. We offer free estimates on all new installations and offer countless fencing style options that will ensure they fully meet with each client's budget, lifestyle, and aesthetic preferences. To learn more about our fencing services in and beyond Chino Hills, keep reading or give us a call. 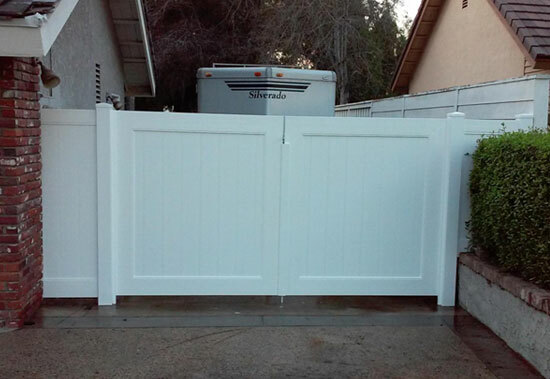 Given the level of workmanship and expertise that Affordable Fencing Company has to offer, we typically build vinyl fences and gates that exceed the expectations of our Chino Hills clients. We are experts at building vinyl privacy fences, vinyl semi-privacy fences, vinyl picket fences, and vinyl ranch rail (or equestrian) fences, all of which are competitively priced and fully customizable. Each vinyl fence can be cut to suit most height, width, and size preferences, and is available in an array of color, texture, and post cap options. Backed by a 50-year transferable warranty, our vinyl fences in Chino Hills resist flaking, peeling, blistering, warping, and rotting, and are also very low maintenance. 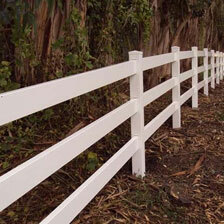 Contact us today for all of your vinyl fencing needs in Chino Hills. 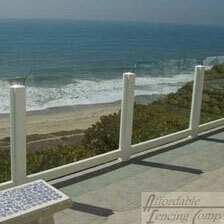 Glass fencing is a great option for properties in Chino Hills with a landscape, mountain, or ocean view. Whether for a home, business, or community association, our glass fences, railings, and gates are flawlessly crafted from high-quality, tempered safety glass and deliver exceptional durability and elegance. They are also affordably priced and installed in a timely and professional manner. Options include either polished top edges or vinyl top rails as well as beautifully designed custom etchings. 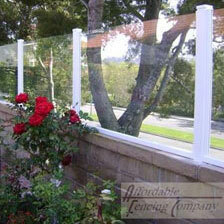 Additionally, for our glass fences with vinyl top rails, we offer an array of colors and finishes. 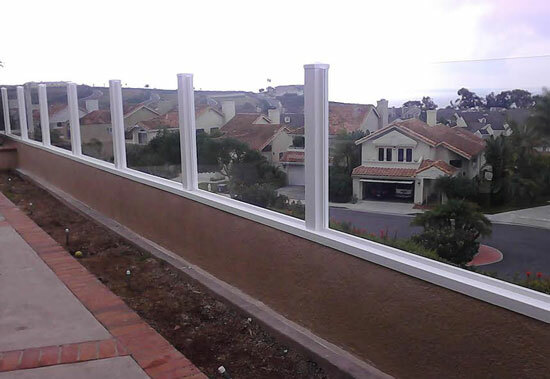 Call today to install glass fencing at your Chino Hills location. 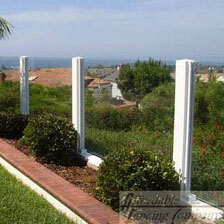 With fast installation, outstanding service, and great deals, we deliver Chino Hills's best value in aluminum fencing. 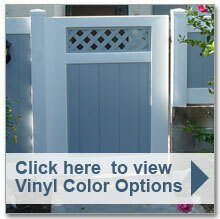 We offer a variety of aluminum fence colors, grades, gauge sizes, and heights, as well as flat or spear tops. In business since 1983, we have helped 1,000s of homeowners, HOAs, and commercial clients to custom-design, build, and install aluminum fences (and gates) that perfectly suit their property. 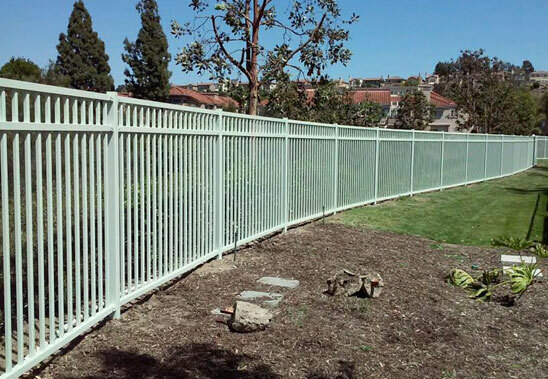 Moreover, our aluminum fences are covered by an impressive lifetime warranty that guards against manufacturer defects as well as peeling, cracking, blistering, and chipping. 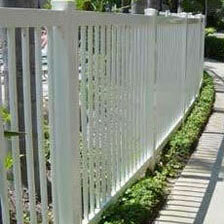 If you are interested in aluminum fencing for your Chino Hills location, call Affordable Fencing Company today. Affordable Fencing Company is a full-service fencing company that can meet all of your wood fencing needs in Chino Hills. We are committed to delivering the highest quality wood fences and gates at competitive prices, with an emphasis on great selection, excellent craftsmanship, and lasting results. 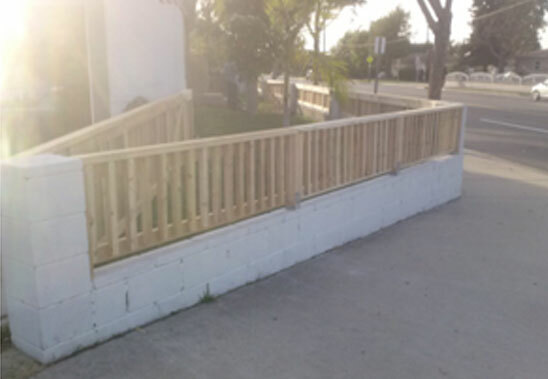 Our prices are very fair and we specialize in custom designing, building, and installing both dog-eared and cap-and-trim wood fences in Chino Hills. Call today for a free consultation and estimate. With over three decades of experience and an impeccable reputation for producing superior work at reasonable rates, you can't go wrong by choosing Affordable Fencing Company as your preferred pool fence company. Clients in Chino Hills can trust us to deliver long-lasting results for all of our pool fences and gates as we use only the finest tempered glass and vinyl or aluminum frame materials. Whether for a private pool, HOA pool, or large municipal or commercial pool, our fences and gates are built to code and meet the strictest of standards for quality and durability. 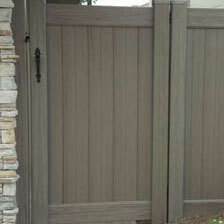 Learn more about our pool fences and gates in Chino Hills by giving us a call. 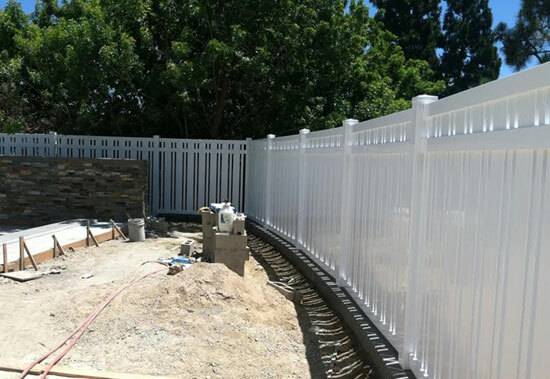 To complement our fencing services, we design, build, and install vinyl, aluminum, glass, and wood gates throughout Chino Hills and nearby areas. Our vinyl privacy, semi-privacy, and picket gates are available in over 50 styles and available with an array of deadlocks, latches, levers, arbors, post-cap options, and more. We can also incorporate special customizations such as motorized access control. Because of the quality of our materials and expect construction, our aluminum, wood, and glass gates are known to last longer than comparable fences made by competitors. 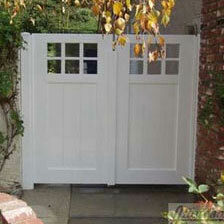 All of our gates in Chino Hills are fairly priced and installed in a timely manner. To schedule a free estimate or to learn more, call us today.